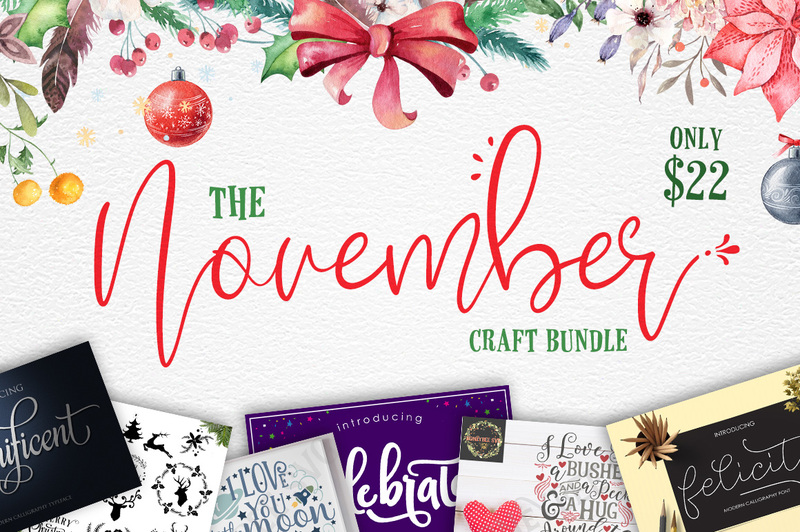 With all the wonderful deals around every corner.. let’s not forget about all the awesome digital goods you could get at a steal of a price now through Nov 27 with our friends over at Craftbundles.com and also their sister site The Hungry Jpeg! You could save an extra 25% on the already low November Bundle! Just make sure you use the BLACK25 code! you can download these lovely FREE SVG Snowflake cut files and have some winter crafting fun! NEW FREE Cut Files to their Freebie Gallery Section! « Free Fonts: Highline, Silverwaves, Warrenson! Thank you very much for sharing these finds. Thanks Keren for deer heads, Deer are theme of my decorating more or less this year. I can never seem to stick with one thing with so many wonderful projects featured online. Hope all well in your world.